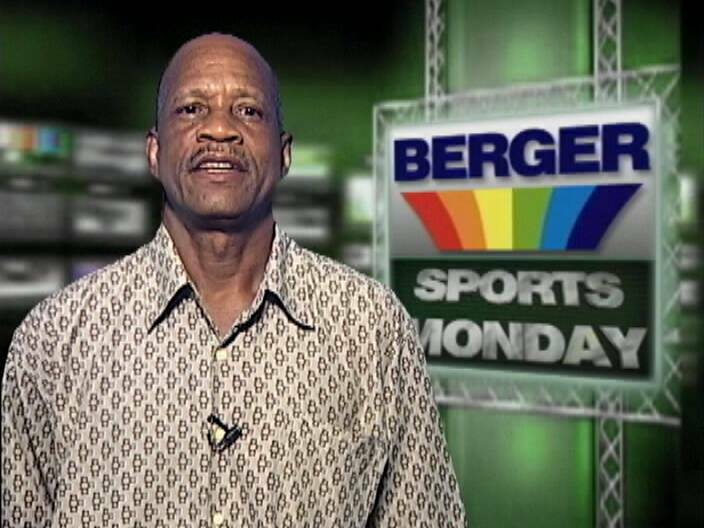 Good Evening, I’m James Adderley and here’s this week’s rush of Sports Monday. 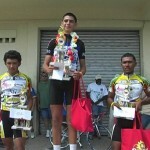 Thirty-three of the rising stars in Belizean Cycling suited up for the 12th Annual Junior Cross Country Cycling Classic which blasted off from the Succotz Ferry to complete a 73.9 mile journey that would finish in front of Leslie’s Imports here in Belize City. Coming out of Santa Elena, we’ve got a 4-man breakaway that chose to run early buy wouldn’t hold up. In fact, by the time the race reaches three flags, we find the chase group about to engulf the lead riders. Out of the newly formed compact pelathon, Giovannu Lovell decides to launch a solo flight and would make it a 1 min 57 seconds lead as he takes the Roaring Creek Station Prize unchallenged. At St. Matthew’s Village, Lovell is still maintaining the torrid pace as he tries to do it by himself. However, this chase bunch would not be deterred. 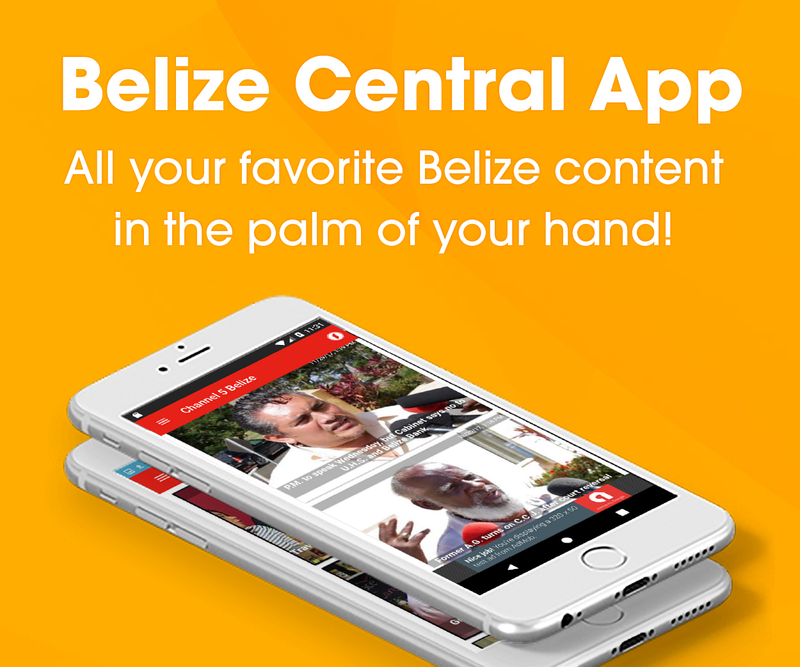 Giovanni Lovell takes the station prize ant the Belize Zoo, but the end of the run had become a done deal. At mile 18, the configuration features a 5-man lead that includes Joel Borland, Juan Umana, Oscar Quiroz and former Champion Austin Armstrong as Lovell hangs on. About a mile from the tape, we find a 6-man lead of Borland, Umana, Quiroz, Armstrong, Lovell and Gentle. At the tape it’s a 5-man sprint for the 2011 title. Watch Borland on the inside move over to the center of the road, this puts Umana and Armstrong in trouble—as Joel Borland of Team Indeco takes top honors in 3hrs 56 mins 21 seconds. 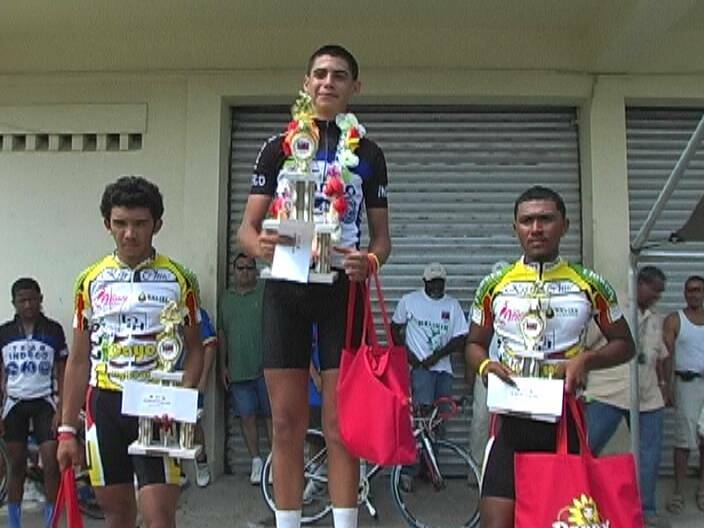 Juan Umana of Cayo High Road Cycling pulls up 2nd and his teammate Kyle Gentle; 3rd, Austin Armstrong of twin Towns Cycling is 4th and a spent Giovanni Leslie of Indeco takes 5th place unchallenged. 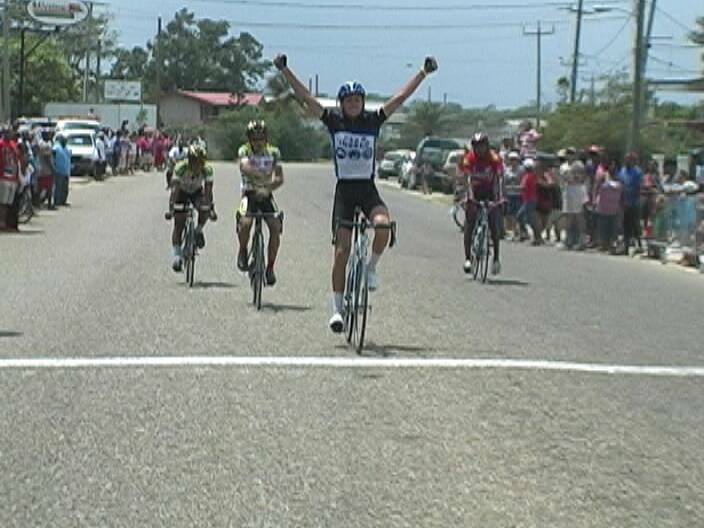 Meanwhile, the management of Cayo High Road Cycling launched a protest on the Borland win but the protest could not be entertained by the B.C.A. since it was not accompanied by the required fifty dollars fee. Of the 33 that started, 20 compelted the ride which recorded an average speed of 18.76 miles per hour. 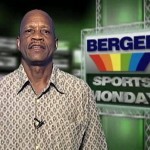 The record of 3 hours 37 mins 48 seconds set by Byron Pope in 2007 was not broken. We now look forward to the mighty Holy Saturday Cross Country Classic and we invite you to join us for our 1st issue of the Race for the Garland which kicks off the Thursday at 8:30 p.m. Turning to the football scene. 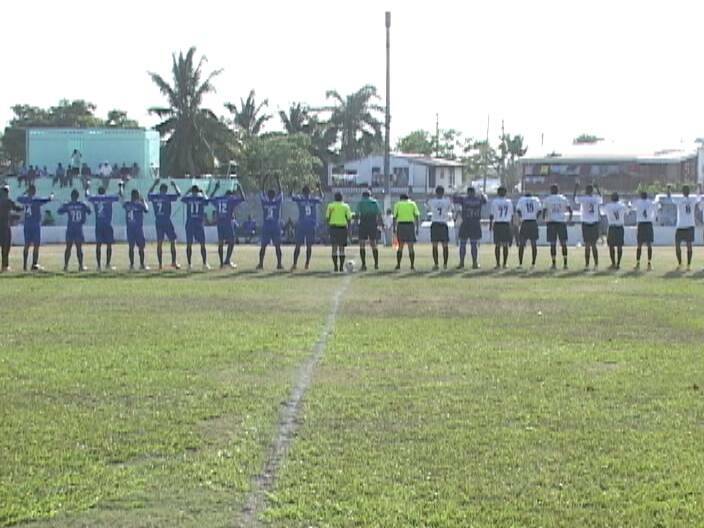 Week 6 in the Belize Bank Super League Tournament brought a clash of undefeated teams to the MCC Grounds as City Boys United hosted Griga Knights yesterday. City Boys gets the 1st real chance at goal some 10 minutes in when Ryan Simpson fired this left foot that inches outside of the target. Griga Knights reply comes from Darwin Castillo who attacks off the left wing to launch this right foot push corralled by Stanley Reneau. Less than a minute later, this defensive error by Shawn Thurton gives Castillo another opportunity to open the scoreboard only to again be denied by goalkeeper Reneau. Folks, sometimes strange things happen. We actually missed the opening goal by Deon McCauley at the 41st minute but here’s the kickoff, but the keeper by Castillo won’t get past Reneau. Folks we’re 10 minutes into the 2nd half when Jason Young is taken down inside the 18th by Allan Flores and the penalty call is made. Deon McCauley steps up and easily beats Elias Pelayo for his 2nd goal of the match as City Boys take a 2-zip lead. 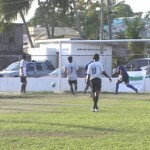 Meanwhile, absolutely no one expected this ball to score but somehow it gets past Stanley Reneau as Shane Gentle gets credited with the goal for Griga Knights. Tyrone Muschamp then gets this chance to get on the scoreboard on this pass from Ian Gaynair, but he misses the target. 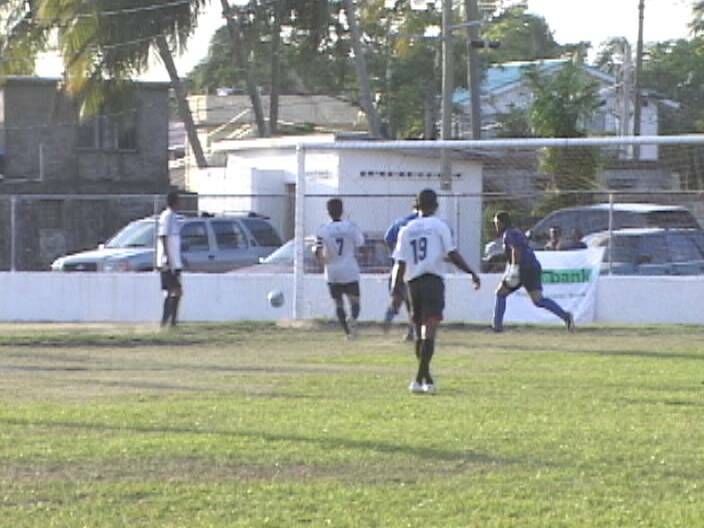 At the 73rd minute, Ryan Simpson sets table perfectly for Deon McCauley who completes the hat trick with this right foot slice as City Boys roll to the 3-1 big W to become the only undefeated team at this juncture in the Super League. In other action around the League; Paradise Freedom Fighters used the home field advantage to double Hattieville manarch in a 2-1 affair. O.W. 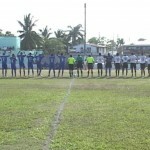 United edged the host team , Placencia Assassins a 2-1 scorcher while Third World FC won the battle of stellar win with a 4-1 bashign of Cayo South United. 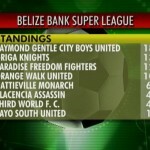 Thus after 6 weeks, Raymond Gentle City Boys leads the standings with a perfect 18 points, Griga Knights is next with 13 points, Paradise Freedom Fighters have 12 points, Orange Walk United 10, Hattieville Monarchs 6, Placencia Assassins 4, Third World FC also shows 4 and Cayo South United are in the cellar with 1 point to show. 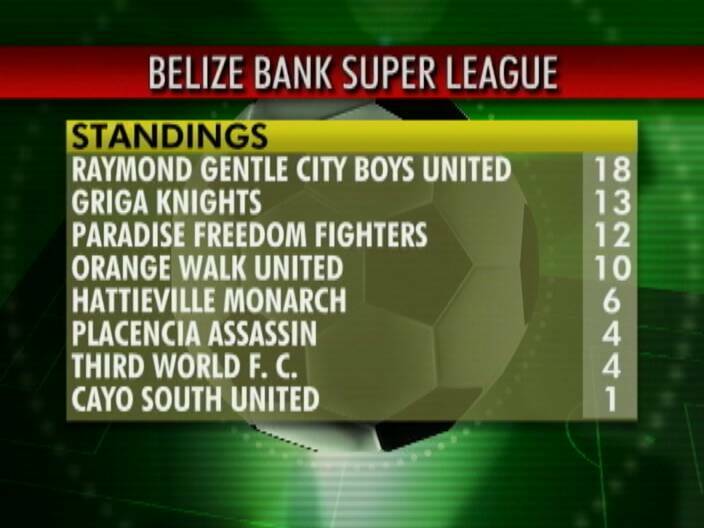 This week’s schedule finds Hattieville Monarchs hosting City Boys on Sunday, Paradise Freedom Fighters travel to Cayo South, Orange Walk United will host Griga Knights and Placencia Assassins takes on 3rd World FC inside the MCC Grounds. Finally in basketball news, Orange Walk Technical got a game high of 23 points from Jerry Vasquez. Timothy Morey struck from 21 points and Kareem Hyde added 13 to beat Muffles College in the High School under 17 tournament on Saturday to claim that O.W. Title. For Muffles: Daniel Garcia was high man with 15 points, while Steviele Fuentes threw up 10 points in that loss.